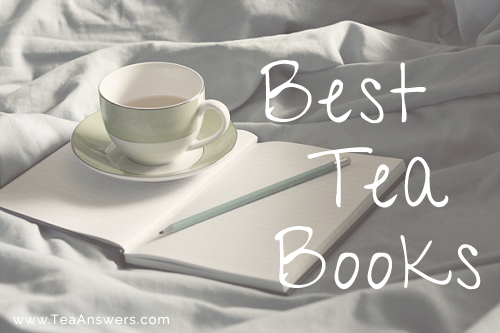 Choosing the best tea books adds a whole new layer to your gourmet tea enjoyment. In other words, the more you know about tea, the easier it it to prepare, serve and experience great cups of delicious tea. On this page, I’ll be writing about the best tea books, from tea reference books to tea party books, herbal tea books to tea leaf reading books, and so much more. In the weeks ahead, I’ll add more books and categories, but I will continue to list only the best tea books. The Tea Drinker’s Handbook is a wonderful tea reference book that covers all things related to tea. From how tea is grown and harvested to the different regions of the world in which tea is grown, this is a useful guide for both recent and lifelong tea drinkers. Best of all, it discusses tea tasting and includes a list of the top 50 tea in the world, with tasting sheets and preparation advice for each. The Book of Tea is a classic tea reference book exploring the role of tea in Japanese culture. It provides an in-depth look into the beginnings of Tea, Taoism, the tea ceremony, and the lives of tea masters. The Story of Tea: A Cultural History and Drinking Guide is a tea reference book that doesn’t just look good on a coffee table. It’s filled with information on the history of tea, the tea trade, brewing tea, and tea culture and customs. There are also some pretty amazing recipes for everything from Spicy Oolong-Smoked Duck Breasts to Green Tea Chiffon Cake with Walnuts and Crystallized Ginger. Yum! Tea: History, Terroirs, Varieties gives a good introduction to all aspects of tea – its history, the tea trade, tea tasting, cooking with tea, and how different regions of the world change the flavor of tea (the terroir). Afternoon Tea at Home – You can’t have afternoon tea without food, and this book really is the best afternoon tea book! It has instructions on how to prepare and give an afternoon tea, and recipes galore – cakes, tarts, sandwiches, shortbreads…even recipes from the top restaurants and hotels in London! There’s really something for everyone. The Book of Afternoon Tea has ideas for simple and sophisticated teas. There are full-color photos for every recipe. The recipes are simple enough for all-levels of cooking ability. The Afternoon Tea Collection provides a wide variety of sandwiches and pastries to be served at your afternoon tea. 20,000 Secrets of Tea – I really love this book! It’s one of the most informative books on herbal teas I have found. It covers how to treat everything from the common cold to depression with herbs, how to create your own tea blends, and the healing properties of 100 herbs and precautions when using them. Healing Herbal Teas contains information on drying and storing herbs, using teas internally and topically (e.g., baths and eye washes), and the health properties of 45 herbs. The Vintage Tea Party Book: A Complete Guide to Hosting your Perfect Party covers tea parties for all hours of the day – brunch, afternoon and evening. Whether you need ideas for invitations, recipes, thank you cards, games to play, or what to wear, it’s here. The Vintage Tea Party Year gives you wonderful ideas for tea parties throughout the year. Whether you want to have a baby shower, a child’s tea party or a holiday themed tea, this book gives you ideas for everything from decor to recipes. Tea Party contains 20 ideas for tea party themes ranging from a graduation tea to a bridal shower tea. There are ideas for everything from table settings and invitations to recipes. Culinary Tea is a great tea cookbook filled with recipes using tea – Jasmine Tea Chicken Soup, Oolong Mayannaise, Darjeeling Roasted Sweet Potatoes, Fresh Matcha Pasta, Cranberry-Keemun Shortbread, and Black Tea-Ginger Vodka. Green Tea: 50 Hot Drinks, Cool Quenchers, And Sweet And Savory Treats is a lovely cookbook using green tea. You’ll find recipes for smoothies, cocktails, desserts, and savory dishes, including Green Tea Banana Split Smoothie, Green Tea Honey Cookies, Green Tea Steamed Mussels with Two Mayonnaises, Moroccan Mint Green Tea, and Fruity Green Tea Hot Toddy. Tea Leaf Reading For Beginners is one of the best books for learning how to read tea leaves. It has sample readings with photos, and a directory of hundreds of symbols and their meanings.